House Republican leaders are slated to meet Thursday after Pope Francis’s address to Congress, where they are expected to discuss the next steps on government funding, sources said. Speaker John Boehner (R-Ohio), House Majority Leader Kevin McCarthy (R-Calif.) and House Majority Whip Steve Scalise (R-La.) meet at the beginning of each legislative week, but Thursday is Congress’ first day back in session and comes just six days before the government is slated to run out of spending authority. Boehner and his leadership team will have to decide whether to wait for the Senate to pass its government funding bill — which is almost certain to be free of riders to defund Planned Parenthood. Alternatively, the House can pass its own continuing resolution to keep the government open and strip the women’s health group of its federal funding. But the Senate cannot clear a funding measure that strips out money for Planned Parenthood. House Republican leaders have shifted their focus to budget reconciliation, which only requires a simple majority for passage in the Senate. They believe that measure would make it to President Barack Obama’s desk. Senate Republicans have filed a CR that defunds Planned Parenthood, and keeps the government open until Dec. 11. When that doesn’t pass, Senate Majority Leader Mitch McConnell will file cloture on a clean CR. 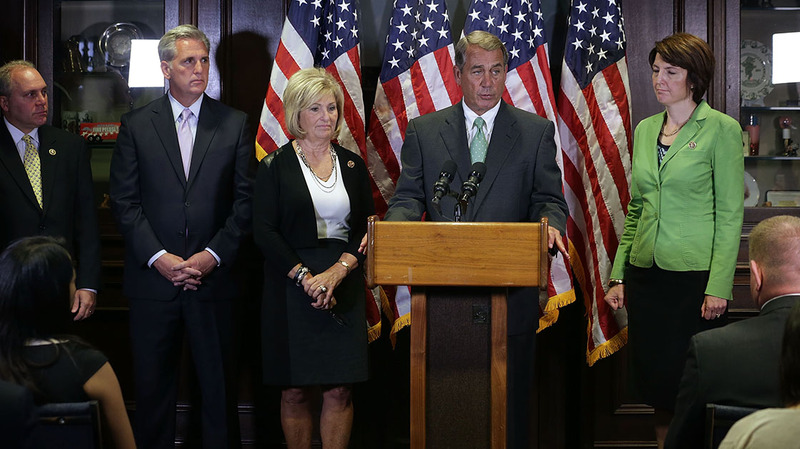 “House Republican leaders continue to talk with members about the path forward on a continuing resolution and legislation that would stop abortion providers from their horrific practices against babies,” said Emily Schillinger, a spokeswoman for Boehner.